The General Plan establishes policy for Modesto which affects all of the surrounding communities. The General Plan establishes policy direction regarding Modesto’s future growth and development. The GPA also proposes changes in both land use and street diagrams. So if you want to have some input in Modesto’s future the time is now. As the Farm Bureau likes to say…“If you aren’t at the table you’re probably on the menu.” It’s your chance to speak out against special interest groups and their attempt to control our future. 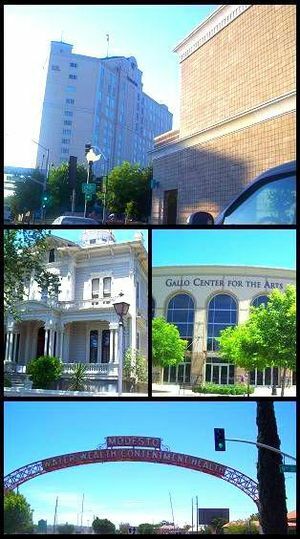 The BoS meets at 6:30 PM tonight at 1010 10th St. Take the opportunity to speak out to protect the Central Valley’s water go to http://www.calsmartwater.org and sign the petition preventing the state from stealing our water. You can drive up by yourself, reserve a seat on the bus, or caravan there with others. The topic is: Board Workshop – Statewide Policy for Biological Objectives in Perennial Streams. Growers, irrigators, customers and ratepayers in MercedID, MID, OID, SSJID and TID are encouraged to attend and witness the process. We all have a story to tell and how this could personally affect your family, business or employment are all stories the State Board needs to hear. The State Board will only ask for comments that are different from previous speakers. If you have something to add to the comments, they can be done at the meeting or written comments may be provided prior to the March 29th deadline. For more information or to RSVP, contact Michelle Reimers at TID –mareimers@tid.org – (209) 883-8530 or Melissa Williams at MID –melissaw@mid.org – (209) 526-7390.
mejiam3@sbcglobal.net She lost her voice so please don’t call. REMEMBER, Be an active engaged Citizen! Don’t be one of the ones Government JUST HAPPENS TO. They can only govern by ambush if we let them.